You receive your tests results in real time—the moment we have them, you can access them. We also work in staggered shifts, to extend our active testing times above the norm, and diminish our customers wait time. Our high-end reporting software further simplifies customer labeling and packaging. We have gone to great lengths to identify and secure experienced R&D personnel, and ensure our facility and equipment can accommodate almost any research pursuits. With a network of industry professionals, and close ties to a clinical trials facility—the potential for research is limitless. We proudly offer a 24/7 private access line of communication to all registered clients. Questions, comments, and concerns—addressed professionally with a simple phone call. We work hard to earn your business, and harder still to keep it. The budding Arkansas cannabis industry is subject to extensive regulation. Rules designed by the Arkansas MMC and the ABC Board require that any sellable cannabis or cannabis-infused product go through a panel of tests to ensure cannabis-patient safety and appropriate business practices. These tests require highly specialized scientific instruments, and highly trained personnel to operate these machines and validate their results. For the already-controversial Arkansas cannabis Industry to take root, it thusly falls to Arkansas cultivators and testing laboratories to ensure an unblemished record for public safety, product efficacy, and business ethics from The Natural State. We at MaryGold Laboratories have committed to providing cannabis testing services from the moment Arkansans voted Yes on Issue 6, in November of 2016. Since that time, we have gathered our analytical team, our validated testing protocols, and our full library of specialized testing instruments; along with finishing construction on a new dedicated testing facility, designed for optimized workflow. We’ve consulted with some of the top cannabis labs in the nation, to ensure we are fully prepared to meet every need of our home state cannabis program. Finally, though Arkansas regulations accept several licenses or accreditations for an “approved testing laboratory”, MaryGold Labs strives for unequivocal confidence from our customer as we pursue our ISO 17025 certification—an international gold standard for quality testing labs. 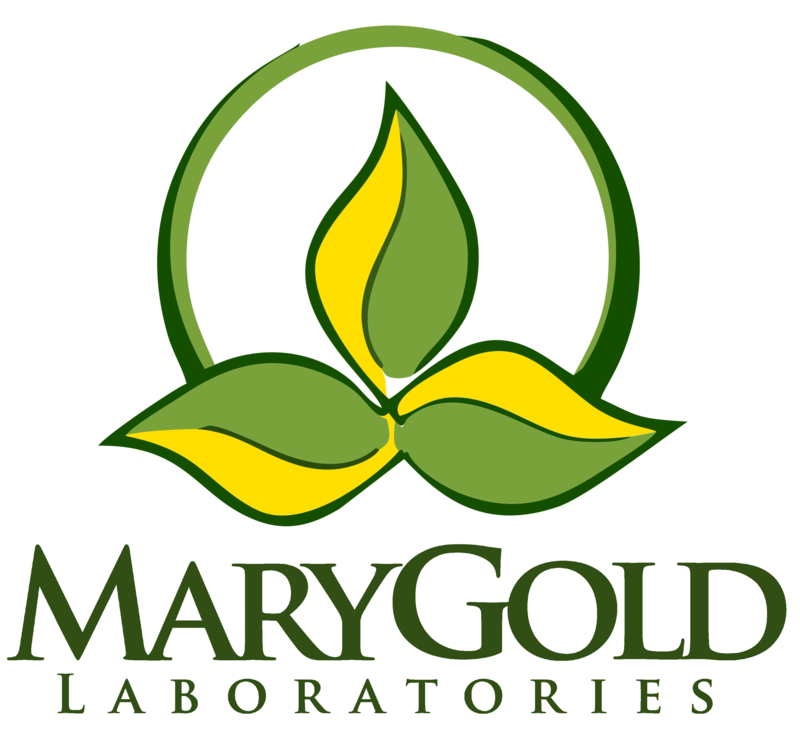 MaryGold Laboratories is owned and run by Arkansas natives; our high school or graduate school years were spent here. Now, we work every day to improve our home state via innovation, business, and education. Being 100% employee-owned, MaryGold’s employees have a vested interest in the success of the business, and our corporate vision is not vulnerable to external influence. Our new 3,500 square foot facility is specifically designed for medical cannabis testing, equipped with sophisticated instrumentation, and run by our team of passionate scientists. Rest easy, knowing your product is in excellent hands. Our personnel are energetic, innovative, and diverse. We are comprised of doctorate analytical chemists, biologists, and experienced lab techs—all with a shared passion for the industry. Our laboratory began as an idea incubator in 2010, later adopting the name “Blue Rose Innovation Institute.” We pursued various microbiology and genetics projects, most notably the synthesis of a rose with blue coloration, an ongoing endeavor. In 2015, we added beer testing to our repertoire in order to serve the growing craft beer community in Arkansas. We became MaryGold Laboratories—outfitted to conduct affordable quality control as well as research and development for an emerging Arkansas industry, similar to that of cannabis today. When the medical marijuana industry arrived in Arkansas, it was only natural to expand our services to include cannabis testing. In 2017, we designed a new laboratory, invested in high-end instruments, and began pursuing ISO 17025 Accreditation. As Arkansas prepares to harvest its first crop in 2018, MaryGold is ready to ensure safety and quality. MaryGold Laboratories is committed to validating the therapeutic capacity of medical marijuana. We wish to accomplish this via our network of researchers, cannabis experts, medical doctors, and other like-minded colleagues. We are always looking for more collaborators, so reach out to us if you’re interested. Clinical Trials Inc.(CTI)—located just up the stairs from our facility—has helped bring over fifty new medications to market over the last thirty years. Many of our employees have work experience and close ties with CTI, which opens a clear avenue for designing and carrying out future studies on medical marijuana. As the legality and stigma of cannabis becomes less volatile, medical research on cannabis-based pharmaceuticals will see a boom. Research leads to innovative products, intellectual property, and future profit. We at MaryGold work to ensure Arkansas’s place in this future. Push notifications and mobile reporting software allow for the most time-efficient and transparent relationship between lab and cultivator. See test results for independent batches in real-time and get mobile alerts as soon as batches pass testing. Widget Integrations allows you to opt in to integrating testing directly in to your site platform. 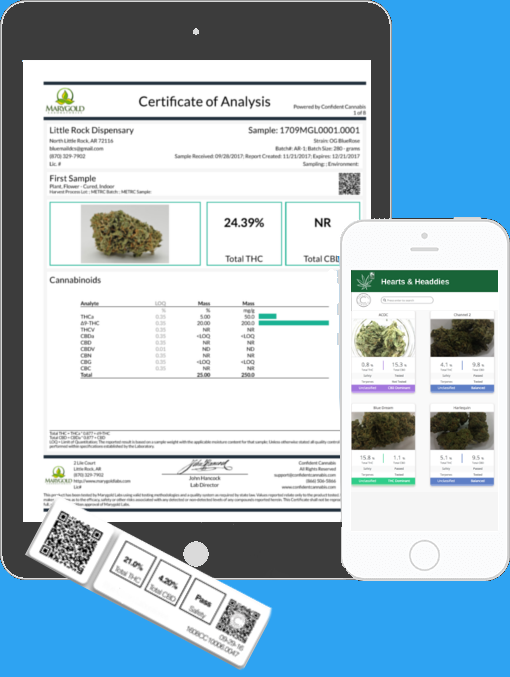 QR Code integration allows you to opt in to offering your clients a scannable code for full test results on each labeled product, like Potency, Terpene Content, Pesticide-/Contaminant-free etc.